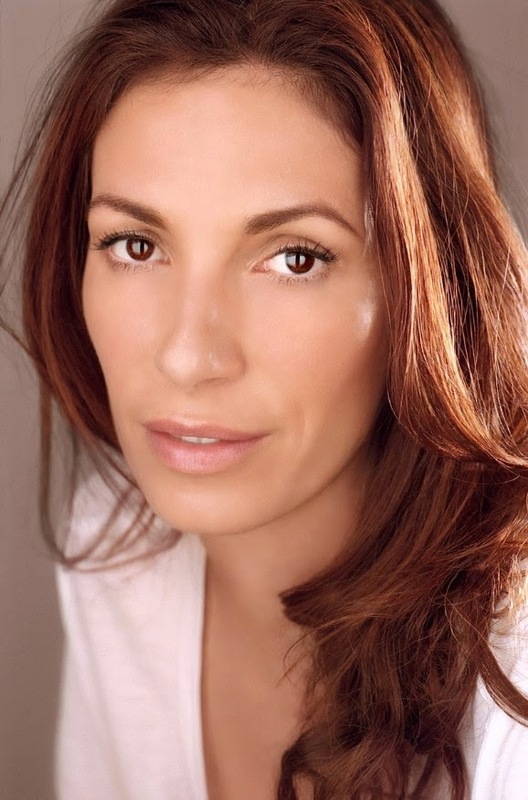 Just because of the themes that her new movie deals with, TrustMovies is inclined to give newcomer (to me, at least) Livia De Paolis a pass for delivering a decent film about bridging both the generation gap and the technology gap. That first gap, spanning the generations, is ever with us; the second -- which the fear of and/or disinterest in prevents many older adults from learning what they need in order to make use of the Internet -- is new to this millennium. Both are worth dealing with, but doing so in a single 80-minute movie such as EMOTICON;) is quite a bit to bite off. That Ms De Paolis can't handle it all in a completely professional manner is not surprising; that she manages as well as she does (she's the lead actress, writer, director and producer) in this, her first-full-length film, is nothing to sneeze at. What comes through most strongly is the filmmaker's sincerity, and if this sounds somehow paltry, it, too, is nothing to be sneezed at. This sincerity is found in everything from the various performances to the writing, which, if it sometimes lacks polish and panache, makes up for this via the reality Ms De Paolis brings to the events and dialog. The generations here actually number three: There is Walter (Michael Christopher, above, left), the 60-plus fellow that our 30-something heroine, Elena (Ms De Paolis) is dating. Then we have Walter's two teenage kids (both adopted): Amanda (Diane Guerrero), above, right) and Luke (Miles Chandler, below, right), and their various friends. 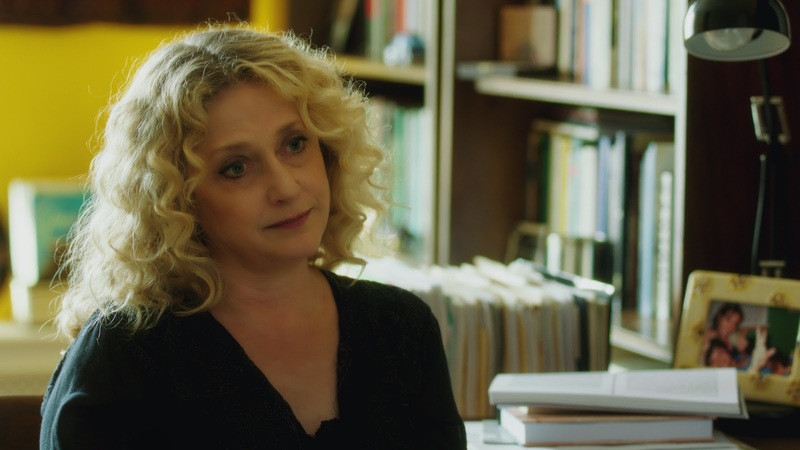 There's Walter's ex-wife and the kids' mom (Christine Ebersole) and Elena's professor (a giddy but wonderfully stable Carol Kane, below), who is advising Elena on this Internet Communications project she's trying to work through. The kids and Elena get off to a bad start but soon are actually helping each with their romantic problems -- some of which are solved, while others cannot be. De Paolis understands that life is more complicated than we'd prefer, and she allows those complications to surface and take their toll. There's a trip to Mexico, bonding, a physical condition that proves a game-changer -- and the results of all of this, which, again, are as negative as they are positive. You might want smoother elisions now and then -- the movie keeps stopping and starting -- but that will probably come for De Paolis with time and more experience. Meanwhile, the filmmaker has given us a mostly intelligent, thoughtful and entertaining start, regarding a subject -- adapting our lives around the Internet -- that we've only begun to try to figure out. Emoticon;) -- from Indican Pictures -- opens today, Friday, May 30, at the Cinema Village in New York City. Elsewhere? I'm checking now and will post the information here, once I've corroborated it.